Martín Jaime, winner of several awards and competitions such as the International Composition Prize "Reina Sofía", considered the most prestigious composing prize in Spain, stands out together with the Symphonic Orchestra of the Superior Conservatory of Music for its high level of interpretive excellence As for its remarkable artistic quality. The Friends of Music have completed the 2018-2019 season, its forty-ninth anniversary. A long way to a philharmonic association (pioneer not only in Marbella but on the Costa del Sol) non-profit, that with sporadic aid, has managed to survive four decades since its inception on October 23, 1970, when we offered our first concert. Founded by a Spanish D. Fernando Sánchez and with two unbeatable Honorary Presidents, Arthur Rubinstein and Plácido Domingo at present. By the hand of Daniel Barenboim, Nicanor Zabaleta, The Children Singers of Vienna, Moura Lympany, Joaquín Achúcarro, Alicia de la Rocha ..., among others and young promises such as Edurne Ubani or Javier Perianes. To the delight of our partners and visitors. 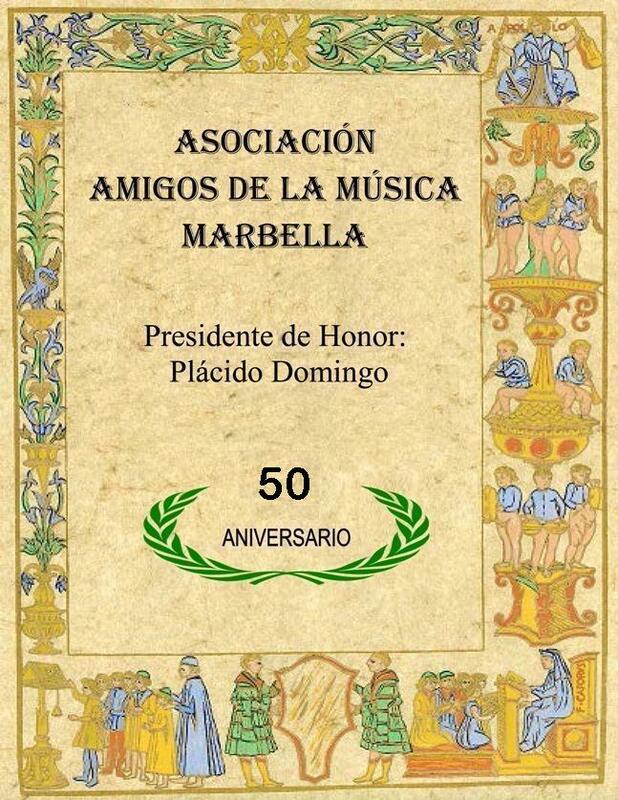 We hope that the Friends of Music can celebrate many more years, with concerts and collaborations, and continue to contribute our grain of sand, with an illusion and a cultural project for our partners and the City of Marbella. Thanks to all for supporting us.